AustinTalks attended last summer’s event, where more than 20 poets and musicians perform. 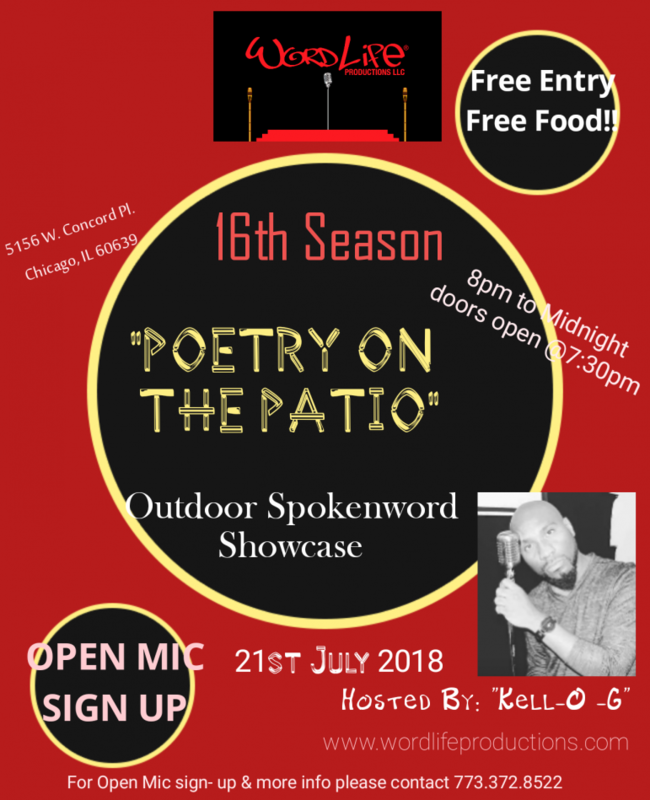 This year’s event – the 16th annual outdoor spoken word showcase – will be take place from 8 p.m. to midnight July 21 at 5156 W. Concord Place. There will be free food and an open mic. Kell-O-G is the host. Kick off National Poetry Month by sharing a favorite song, dance, poetry or another way you'd like to express yourself. The event is from 3 to 5 p.m. Tuesday, April 16 at the Austin branch, 5615 W. Race Ave.
On Saturday at the Chicago Public Library's West Chicago Avenue branch, Markell Mooney read from his recently published collection of poems, Words of Life.